In part two of this series on the state of ad blockers, I take a look at a new product from a well-known company whose earlier product has been available for nearly a decade: Adblock Plus (ABP). Adblock Plus develops extensions for web browsers which can block tracking, malware sites, and, of course, ads. Last week, ABP went beyond releasing extensions and launched a standalone Adblock Browser for Android and iOS that has built-in blocking capabilities. Before we take a look at the browser itself, it is worth noting ABP’s interesting (and some call it controversial) business model. ABP signs contracts with companies that agree to its acceptable ads guidelines. Ads from these companies are allowed to pass through the ABP ad filter. The first thing you should know about the free Adblock Browser is that, unsurprisingly, it works better on recent devices with faster processors. For example, it ran slowly on an iPad 2 with a 32-bit processor in my tests. So, slow, in fact, that there is not much speed advantage to using Safari with ads displayed. However, on a iPhone 6+ with a faster 64-bit processor, Adblock Browser rendered the mostly ad-less web pages fast enough to be interesting and useful. On the Android side, I tested it using a Nexus 4 and Nexus 6. Here’s the use case that makes Adblock Browser interesting and useful for me: I generally use Google’s own Chrome browser on Android devices and read web pages with ads. However, I often find interesting news items in my Google Now feed. And, some of the sources are either unfamiliar to me with possibly heavy handed ads or are from interesting sources with known heavy ads. So, I have links from Google Now handled by Adblock Browser. A single ad blocking filter is selected by default: ABP’s own EasyList. ABP describes it as: “The EasyList subscriptions are lists of filters designed for Adblock Plus that automatically remove unwanted content from the internet, including annoying adverts, bothersome banners and troublesome tracking. The subscriptions are currently maintained by four authors.” You can use the Ad Blocking setting option to choose filters for other languages. The “More blocking options” page lets you select options such as disabling tracking. Surprisingly, the option to disable malware domains is turned off by default. The “Acceptable Ads” option is turned on by default. As I noted earlier, this allows ads to be displayed from companies who sign a paid or free contract with ABP to agree to display non-intrusive ads. Finally, in the Privacy settings window, you can choose to turn off cookies and tracking (which are, by default, allowed). It also provides controls for remembering passwords (off by default), and clearing private data manually. There is also an option to clear the cache upon a manual exit using the Quit option. However, I didn’t see a Quit option in the Android app, and I didn’t see this cache setting in the iOS app. It is worth noting a few differences between the iOS and Android versions of Adblock Browser. The iOS version lets you choose between DuckDuckGo (the default) and Google as its search engine. You can choose from a much larger list of search engines in the Android version. URL suggestions are turned off by default, but can be turned on. The Android version has a large number of display options, including enabling zoom on pages that normally do not allow zooming on mobile devices. The Android version also has an option to save a web page as a PDF file (Settings -> Page -> Save as PDF). 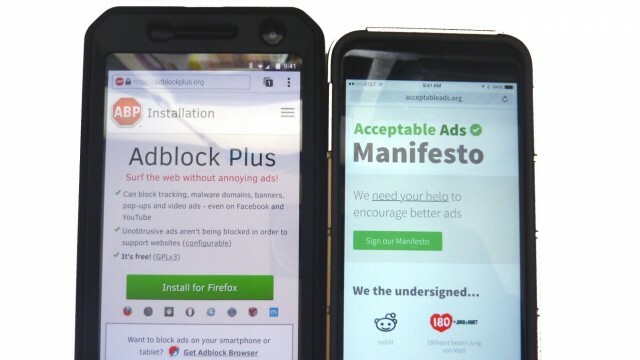 The recently released free Adblock Browser for iOS and Android makes it easy for non-technical people to reduce the number of mobile web ads they see and protect themselves from known malware sites. 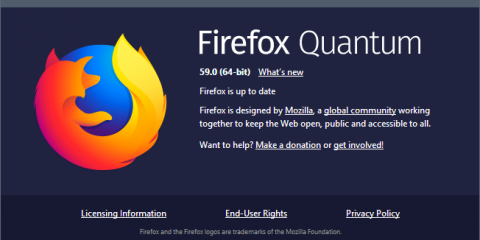 It is one more tool that makes it easier for anyone to have an arguably improved mobile web experience. If you missed part one in this series, check out: Ad blocking for the masses, part one: uBlock Origin. Finally, stay tuned for part three, where we will take a closer look at Apple’s Content Blocking Safari Extensions that will be made available in the iOS 9 update released September 16.